A Starry Night Music | Multi Award winning NYC based wedding DJ company serving Manhattan, Brooklyn, Hudson Valley, The Hamptons, Miami, and beyond. We have the the best wedding DJs NYC and Musicians NY. A Starry Night Music | Highly acclaimed company of the Best NYC wedding DJs and Musicians. We are a NYC DJs company serving Manhattan, Brooklyn, Hudson Valley, The Hamptons, Miami, and beyond. You will remember your wedding forever. We let the music speak for itself. Our disc jockeys maintain complete and absolute respect for your musical taste. We play pure music without any gimmicks. Great music should be the inspiration. We love to play unexpected musical treasures that make the crowd go wild! and to ensure that your party reflects your personal and musical style. We believe in tasteful use of the microphone for any pre-approved announcements. Music has its own voice. You can have a rocking party and still be elegant. We also specialize in Brasilian, Persian, and World music. Hablamos Español & Falamos Portugués. No two weddings are alike. You will see that each event has your personal touch. Our DJs are established artists and very accomplished at their craft. All are creative, have extensive knowledge, and ever growing libraries of music of all genres. You are always in direct contact with the DJ of your choice. There are many moving parts during a wedding. It goes far beyond the music to give life and technicolor to your party. From the first moment of designing your dream to the very last song of the evening we quietly work behind the scenes to ensure that the flow of your event is to perfection. We represent some of the most accomplished and world acclaimed musicians of all types and genres. They are among New York's finest artists: guitar, piano, violin | cello string ensembles or soloists, harp, percussion, saxophone. At times we combine these talented musicians with the DJ during the reception to give an extra flair to the dance floor. A Starry Night Music kept our wedding a non-stop dance party from beginning to end! While planning our wedding, my husband and I knew we were looking for an accomplished and sophisticated DJ that shared our eclectic taste in music and would work with us to keep our special day classy, yet a true celebration. From the moment we spoke with Carol Moore, we knew we had found the perfect match. She respected our requests for specific songs, and was more than helpful assisting us in compiling a list of songs and musicians that combined our tastes, as well as the demographic of our guests. On the day of our event, Carol and her staff could not have been better. From coordinating entrances, toasts, etc., to providing non-intrusive, shouting-free, friendly, and elegant announcements throughout the reception, she kept the continuity fluid and the energy electric. In addition to honoring all our music requests, she was also able to read the vibe of the room and play the tracks that perfectly fit the moment and mood of the occasion. It was an added and unexpected wedding gift to see all our family and friends dancing into the night. Thank you Carol Moore and A Starry Night Music for making the music the most memorable highlight of our wedding! We offer beautiful architectural ambient up lighting for the walls to add a glow to your room. Whether your wedding is in an old mansion, or a Zen style open room with large window views to the city, cliff sides, or a waterfall, soft up lighting artfully placed adds a warmth to your room. You choose your color palate, hue. Photo booth is a blast. It gives you the opportunity to release your inner child! 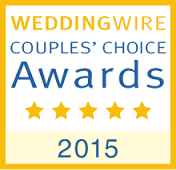 Once again we are the proud recipients of the WEDDING WIRE COUPLES' CHOICE AWARD for the 11th year in a row! 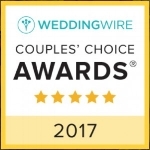 Thank you to our wonderful couples!